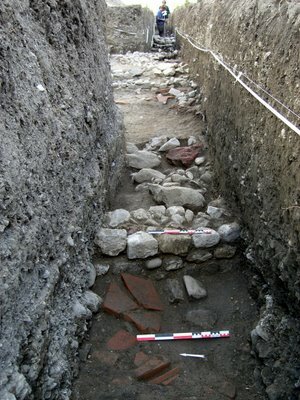 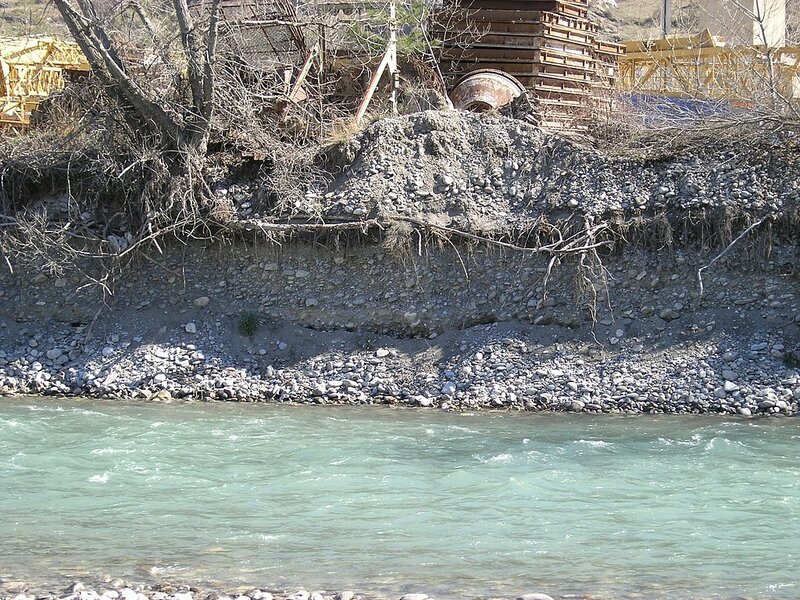 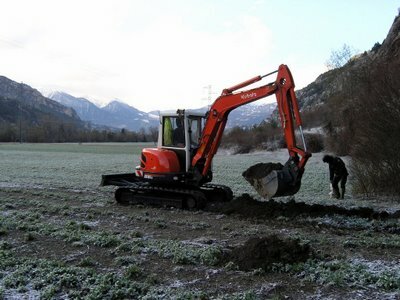 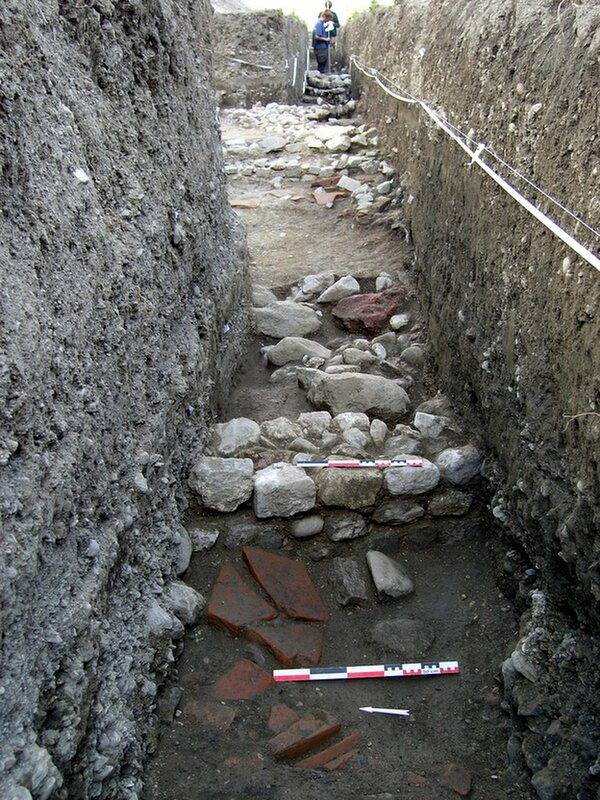 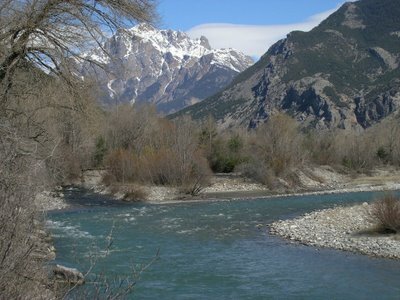 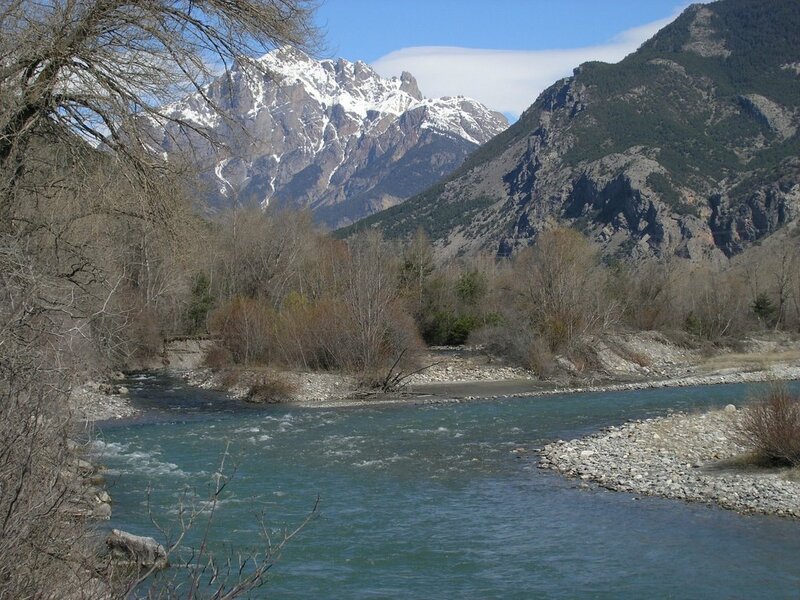 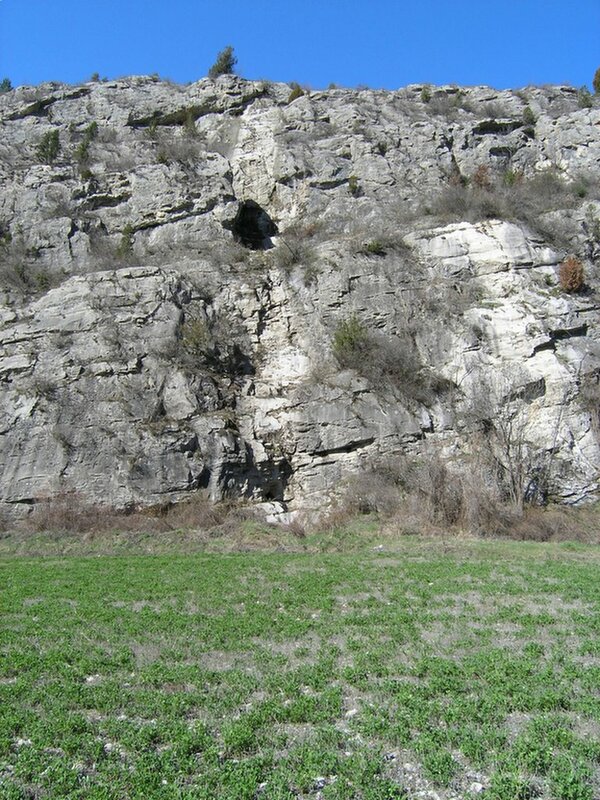 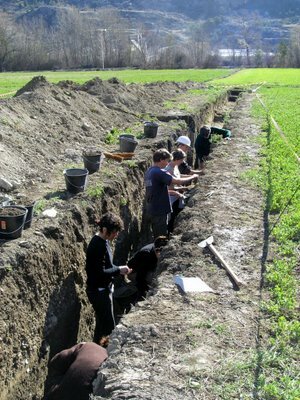 A 200m long trial excavation of a major Roman site adjacent to the Durance River in the Ecrins (Southern French Alps). 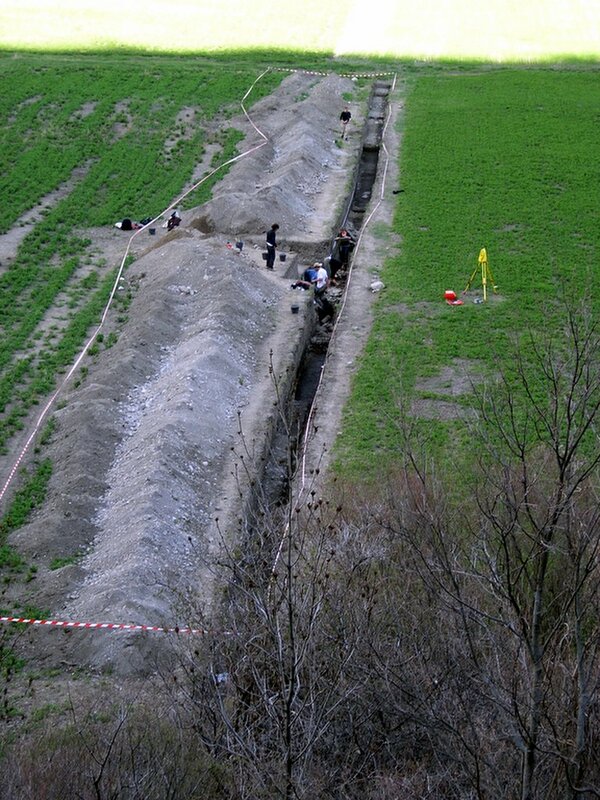 The aim of this trial trench was to assess the results from air-photographic and geophysical survey data. This excavation thus allows us to place the archaeological site in its landscape context and consider its relationship with changes in the local river systems. 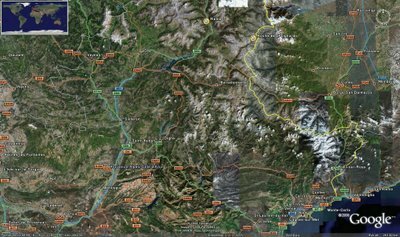 Rama is located towards the top centre of this map. 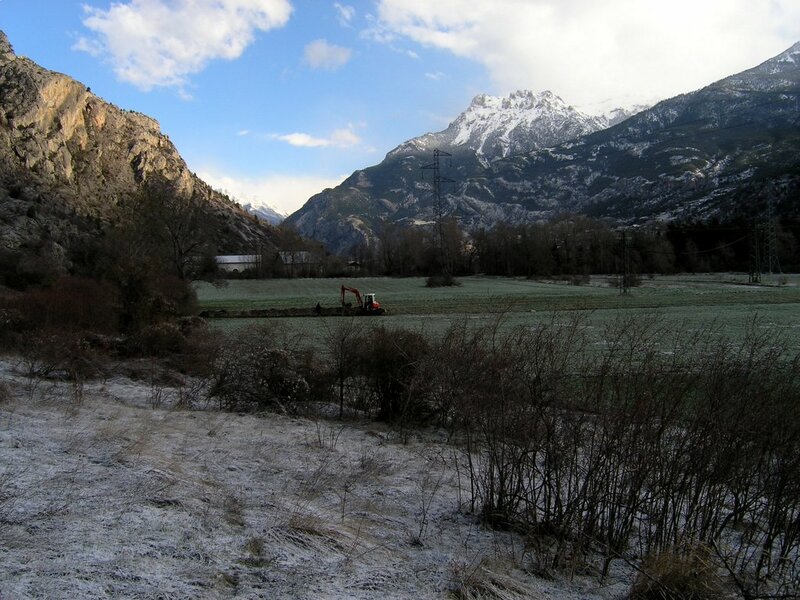 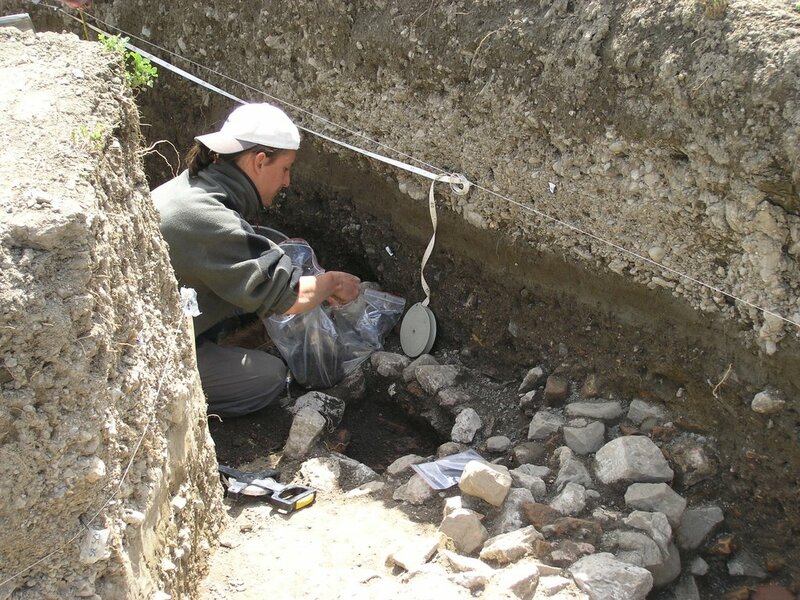 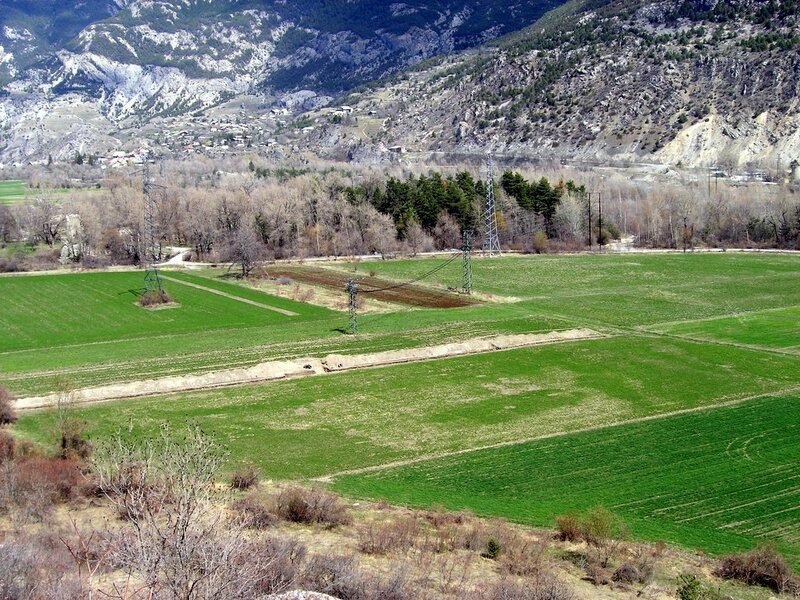 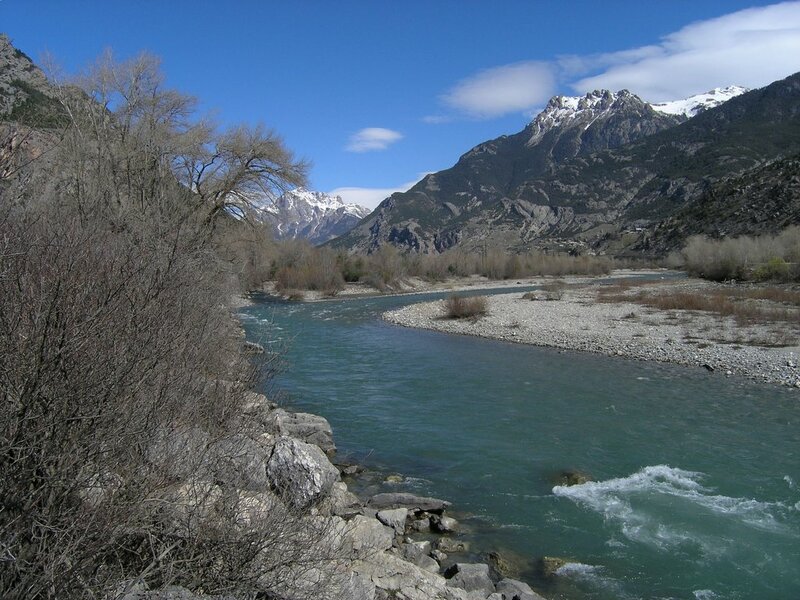 This second stage of a landscape archaeology project in the Southern French Alps was designed to assess the nature and depth of the archaeological remains of a major site Roman site called Rama. 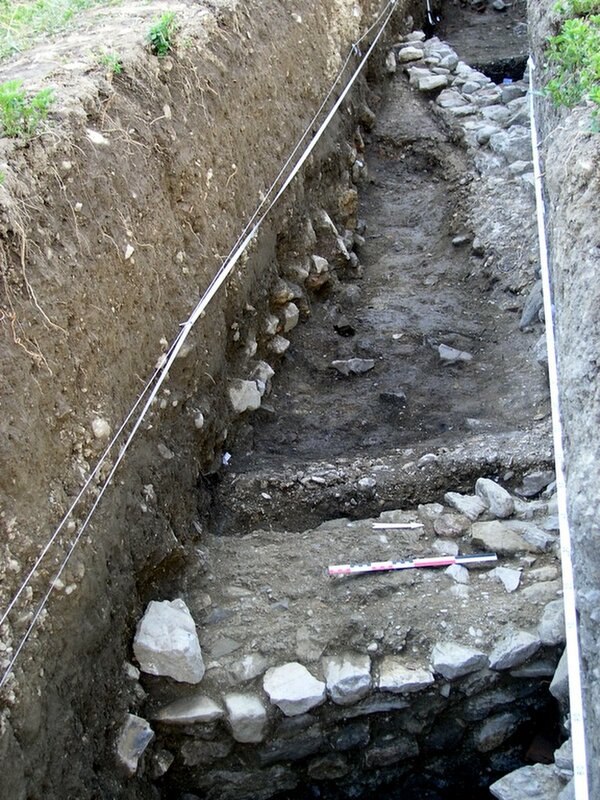 The first stage, in 2005, comprised a geophysical survey thus allowing us to locate the site and make a decision where to place our trial trench. 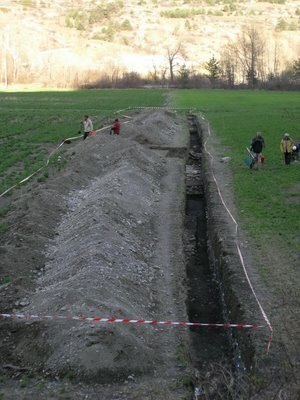 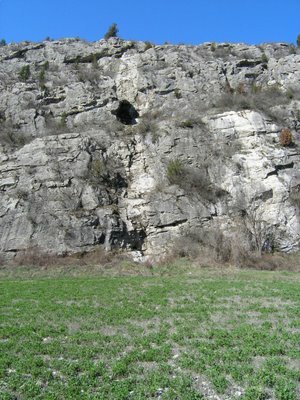 The flood deposits (coming from an inactive branch of the Byasse river) are towards the bottom end of the trench. The Durance River is some 400m further away from the top edge of the trench. An overview of the excavation trench - the main archaeological remains occur in the central area. 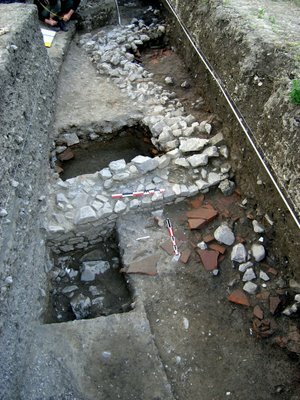 The main trial excavation area. Detail of wall with Roman tile. 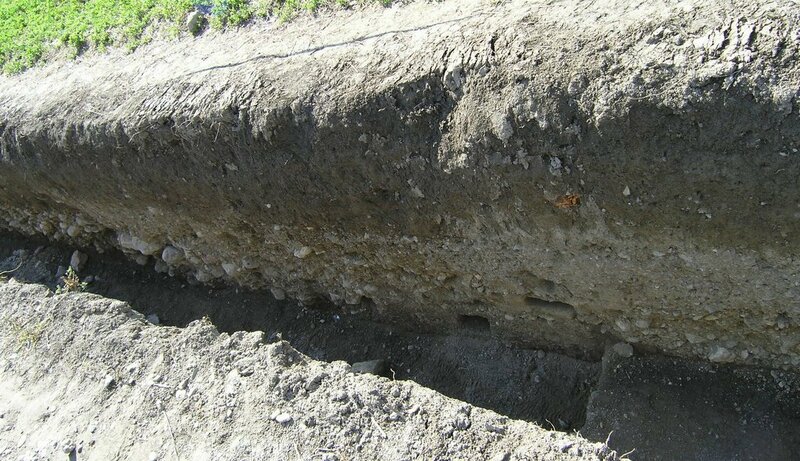 Coarse bed deposits overlain by finer flood sediments. Detail of different river channel and flood deposits: coarse riverbed material down in the bottom, centre-left of the image. 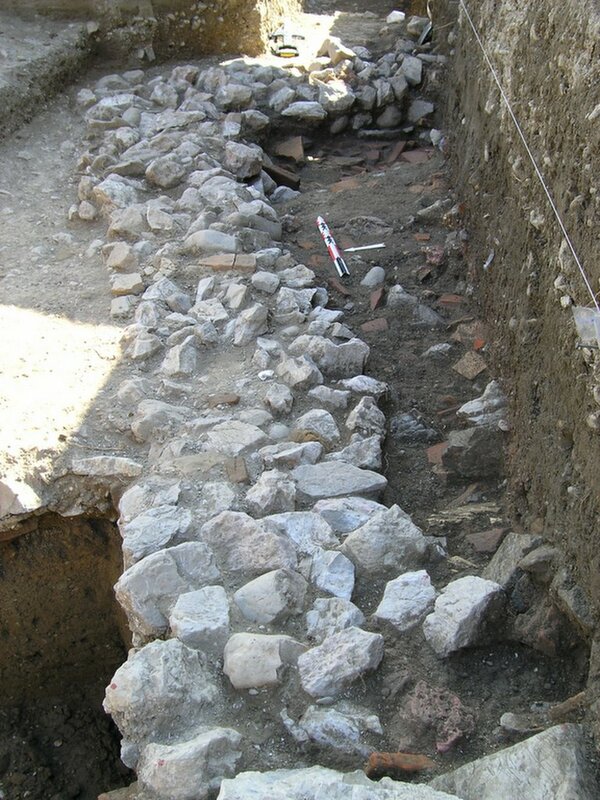 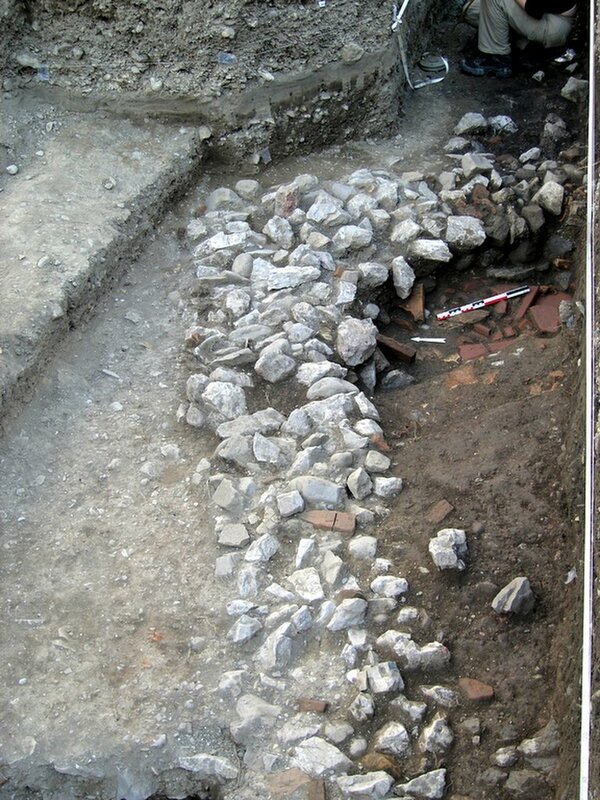 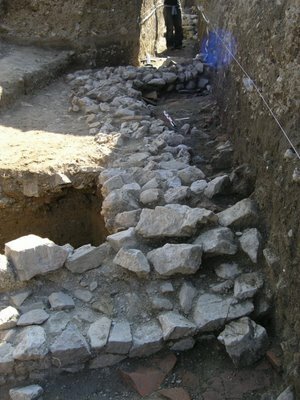 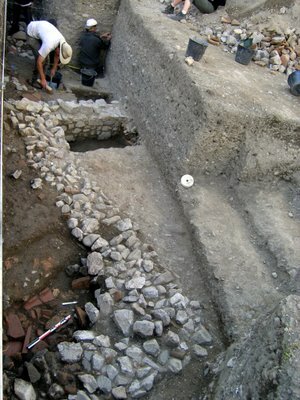 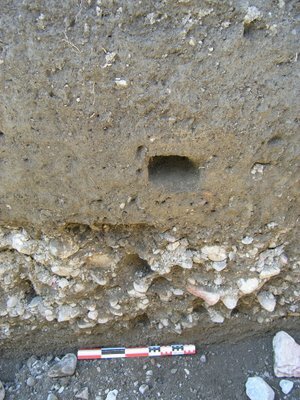 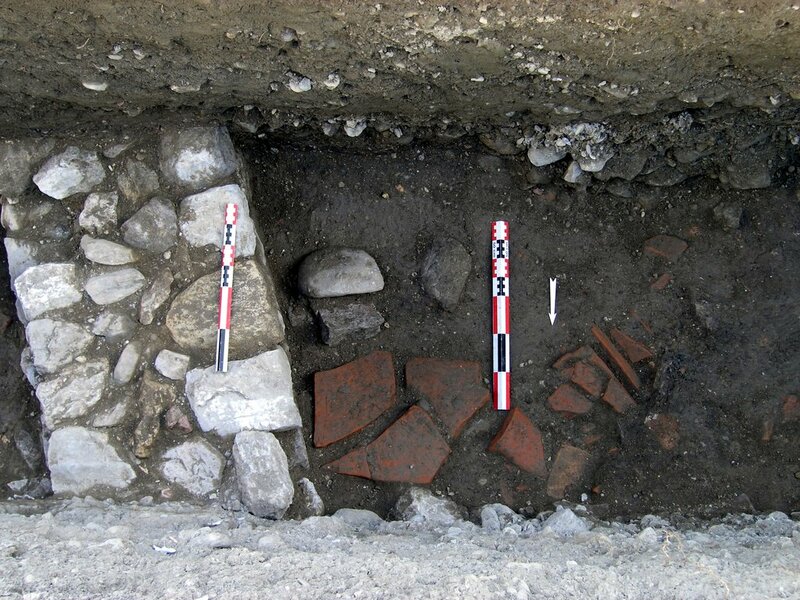 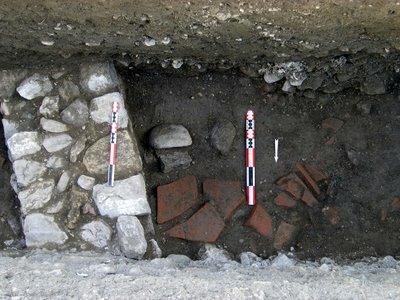 Detail of a Roman wall where pottery dating to the Late Roman Period was found.